Being a big fan of the CBS Radio Mystery Theater, this seems right up my alley. Unfortunately between the storyline and be terrible acting, it did not live up to the hype. I would almost bet money that (most) of the actors were not in the same room when they recorded their dialog. It sounds like they recording their parts at different times and different places and someone spliced it together. Imagine how hard it would be to interact with someone just be reading your lines instead of being together and interacting with each other and you get the picture. It just does not sound natural. 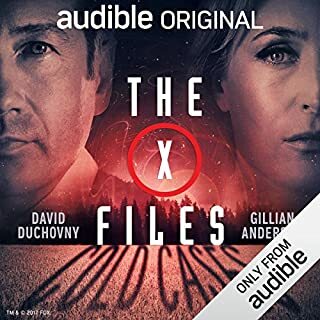 Some reviews talk about the sound effects but in "radio dramas" (which this is most closely associated with) this is normal, so that part did not bother me. All might have been forgiven if the story captured my interest. I am glad that most people liked this but be forewarned, this is not your typical Audible presentation. Enjoyed this series. Being a &quot;time traveler&quot; fan, I had to give it a tray. 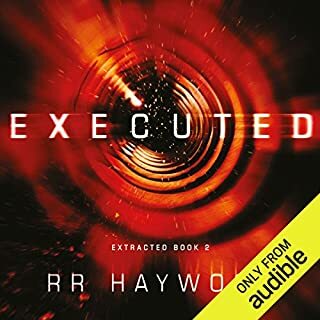 It had some nice twists and I would recommend it to anyone who likes this genre. Sould have stopped while they were ahead! This book started out great. Very interesting concept and some well written stories, unfortunately, the book "overstayed it's welcome". I rarely do not finish a book but after putting hours into it, I finally let it go. The writing was just too uneven. One story would be great, followed by an average or below average one. In the end, it wore me down and I stopped listening. If you catch it on sale, get it, otherwise think long and hard before using a credit. This is typically the kind of books I like, but this time I just could not buy into the characters behavior. The main characters constantly are doing things that make you think, "they would never do that in real life". I know it's fiction, but I feel in every story you have to buy into the reality of the book, be it time travel, wizards or lawyers. In this book the actions just does not match what a normal person (what these people are suppose to be) would do. The reader was excellent as always and I did finish the book. 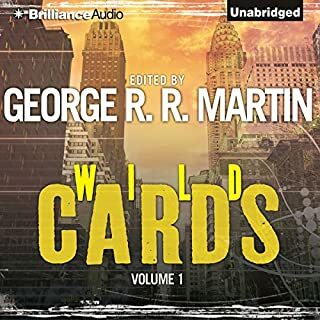 Some of the other reviews state this is one of the weaker books in the series, so I am going to give another one a try and hope for better results! Great book and Narration, bad producer. This is a typical Stephen King book, and I don't mean that in a bad way. If you enjoy his other books, you will (most likely) enjoy this one. 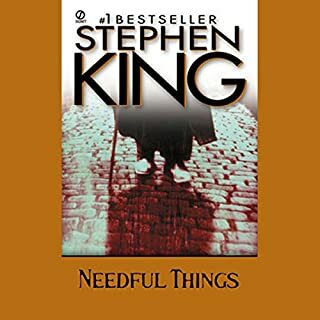 The plot is good, good characters and Mr. King is the narrater (and does a great job). Really good except for one thing, the music / sound effects. I always read reviews before purchasing and quite honestly, I was irritated at all the complaining about the music. Really, how bad could it be? The answer is pretty bad. It is of poor quality, does not fit what is happening in the book, is too loud and many times goes on too long. When I started listening to the book (remember I had in my mind this one issue was overblown), I was thinking about the review I would write slamming all the people complaining about the music. For awhile, it was not that bad, it could just as easily not have been there, but was not much of a distraction. But as the book progressed, there were times it went on and on, and at a volume that made it difficult to understand Mr. King. The producer was like a kid in a candy store with a pocket full of money, not realizing that just because he could put in the extras, does not mean they should. Still, I enjoyed the book and the narration. I would recommend this book, even with it's production flaws. 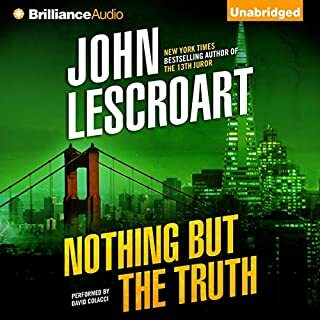 This was my first time listening to a book by William Landay and I picked a great one to start with. If you are a fan of courtroom novels, this on one might be for you. As a test to see if you would like this book the only question you need to ask is, "Did I like "Presumed Innocent" by Scott Turow?". This book (to me) seems to be a rewrite of that book. It has the necessary plot changes but the flow and the turns are so similar, I could not help but to draw a comparison. Now I don't mean that to be a criticism, I loved Presumed Innocent, and I loved this book, but the parallels are clear and many. 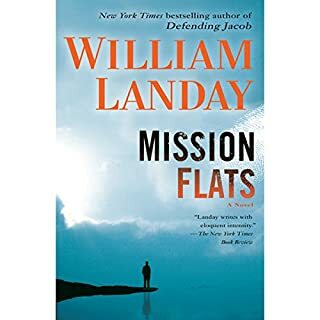 When I finished this book, I immediately download the authors first book, "Mission Flats" and let me say, he has improved with "Defending Jacob" GREATLY! Would you ever listen to anything by William Landay again? This book goes on and on with small details about things that just does not matter. I listened to about 3 hours of this book and still could care less about finishing it, and this is very rare for me. Finally, on my way into work today (almost a 1.5 trip one way), I just gave up. Funny thing is I really just don't care even to know the "who, why and where". The only thing I am sorry for is I did not have another book loaded onto my iPhone so I had to finish the drive with the radio. 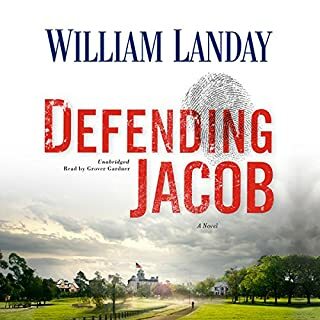 Given how much I liked "Defending Jacob", I am willing to give the author a pass on this one. If you read this book and liked it (some of the reviews are glowing), good for you. As for me, I wasted a credit and 3 hours that could have been spent listening to something I would actually enjoy and finish. Great character development and that might also be the problem with this book. It's a long listen (which I like) but you get to a point (early on) that you are ready to move on. This book does not. In one of my favorite listens, The Pillars of the Earth, which is over 40 hours long, you never get bored, it constantly moves forward and it's hard to see what's "around the next curve". Alas, it is not the case here. Bottom line, it's been done before and better.